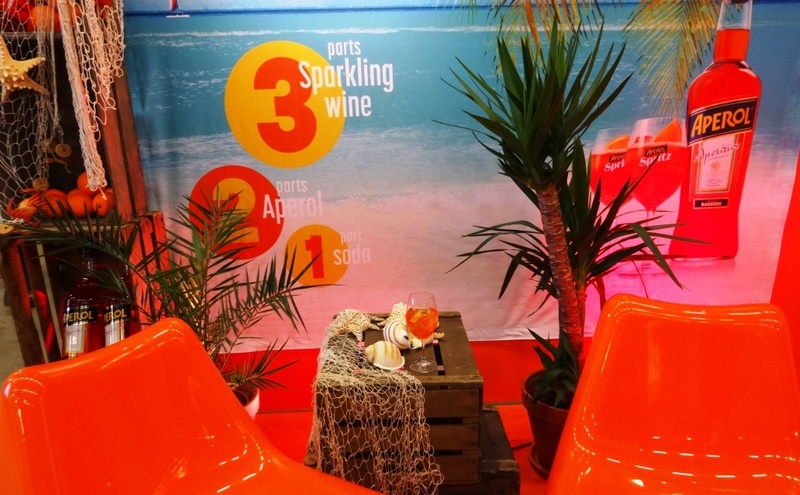 Amazing coinsidence, was able to taste Aperol Spritz same day in two different places…..but where? 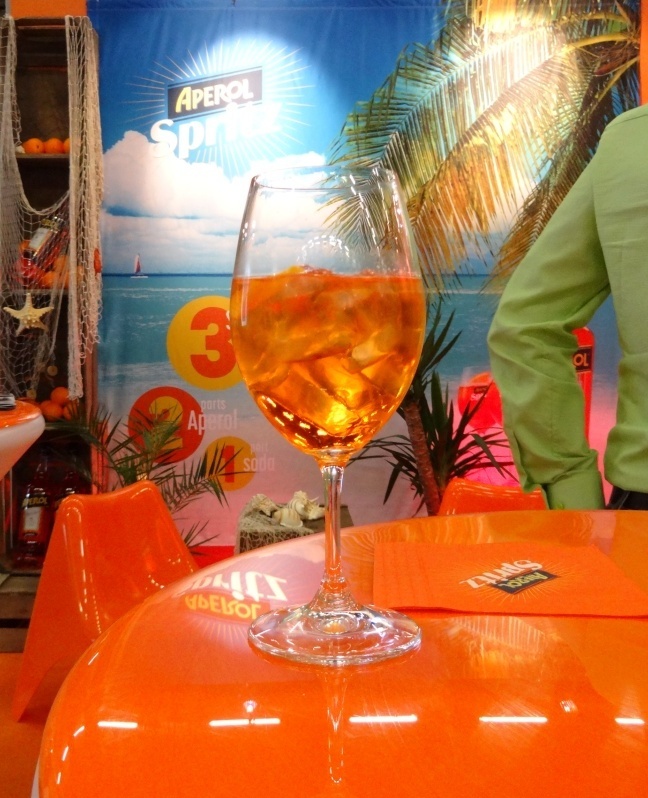 First Aperol Spritz of the day was tasted at Wine Expo 2014. Importer had they own stand which was refreshingly colored compared to other “standard” stands. Drink was excellent but maybe a little bit sweet, a dash too much Aperol. 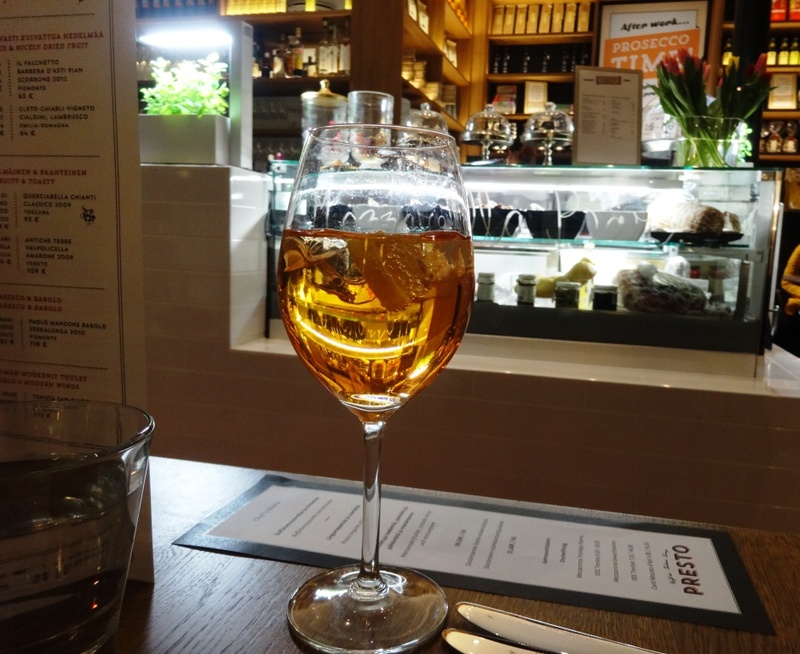 Second Aperol Spritz of the day was enjoyed at new Italian restaurant Presto (review follows later). 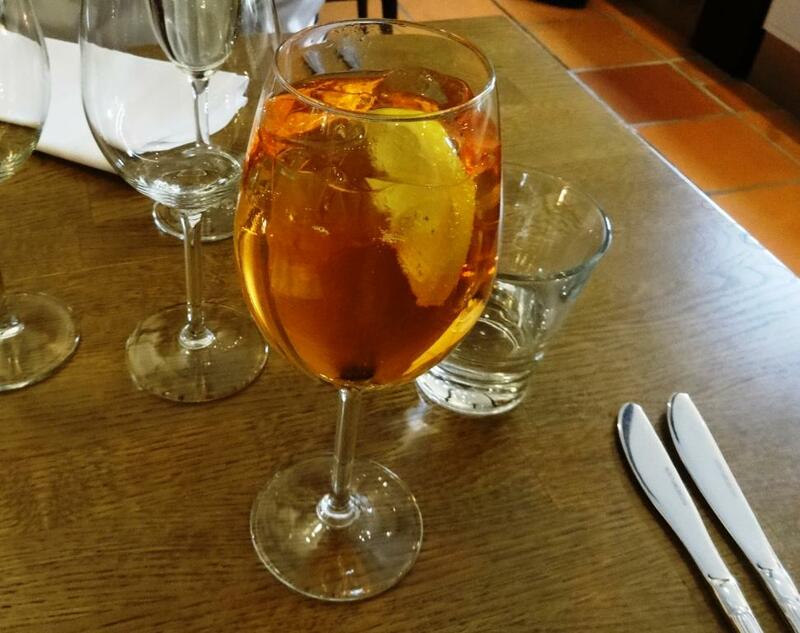 This time the drink was much too dry, almost could not taste Aperol at all. I think the mix must have been prepared by using formula 3/1/1, which is the ratio in some incorrect recipes. As Aperol is not so strong it really is excellent summer refresher, alternative for Cava Sangria. When you add ice and soda, alcoholicity is less than in glass of wine, under 10%. In order to get the most out of the drink, it must be mixed properly. Otherwise it does not make sense to ruin prosecco with add on’s. Aperol Spritz is perfect aperitif! I have one most evenings at the bar opposite my house in Bagni di Lucca.